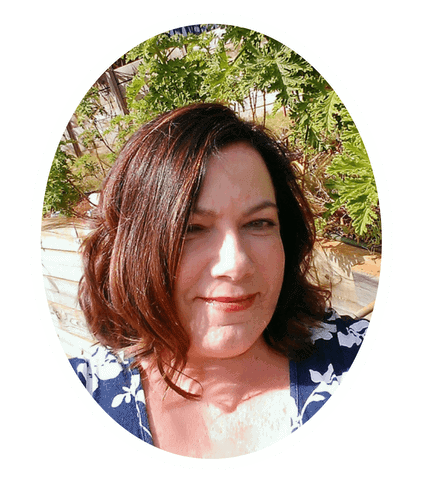 Let's ditch the overwhelm together! If you want to make programming and documentation simpler while spending more time with the children and have all but given up... This is the hope you need! This is how you get rid of those planning, play and time management worries for good! JOIN US IN MEMBER HUB NOW & ENJOY YOUR JOB AGAIN! 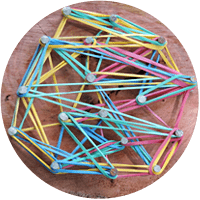 FIND OUT HOW you can finally become the educator that feels empowered, less isolated, never short of play based activity ideas and always on top of your observations, programming, reflection & forward planning. BECOME THIS EDUCATOR WITHOUT the judgement, bitchy comments and condescending advice you usually have to wade through when seeking answers and useful professional development! 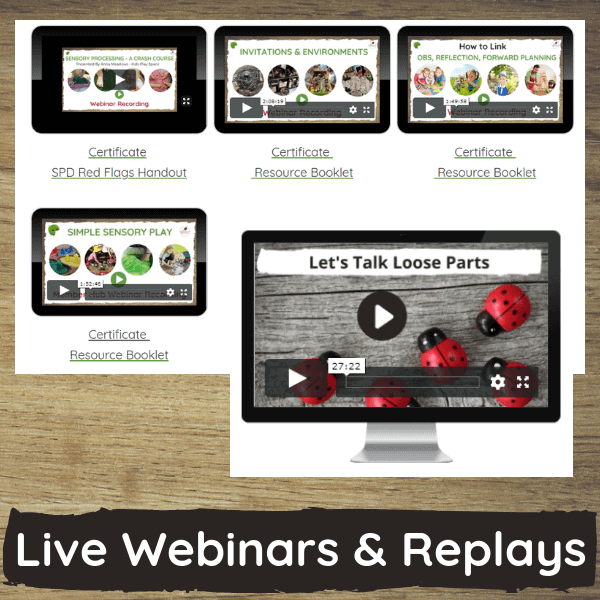 JOIN THE ONLINE HUB CREATED SPECIFICALLY FOR EARLY CHILDHOOD EDUCATORS JUST LIKE YOU!! Stop wasting your valuable time and access everything in the one place 24/7 that you need to do your job well -without the usual stress and feeling of overwhelm! When you become an Empowered Ed Hub member and subscriber you are giving yourself the opportunity to simplify the planning cycle, manage the little time you have more effectively and ensure you are never without professional development support, an activity idea or weekly plan again! You can unsubscribe AT ANY TIME with the click of a button....no email or explanation needed.....I'm pretty sure once you see what's inside though you are going to want to stay.....just like the over 500 members we currently have in our community who work across all areas of the early childhood profession including long day care, family day care,home childcare, kindergarten, Pre-K, Occasional Care, Vacation Care, Outside School Hours Care, assistants, leaders, coordinators, directors, educators and more!!! Choose whether you want to join us inside Member Hub online with a monthly recurring subscription or annually by making one discounted payment. (We take $70 off for annual members rate!) with a tap on the button below, login immediately and we will see you soon!! What will you have immediate access to today? 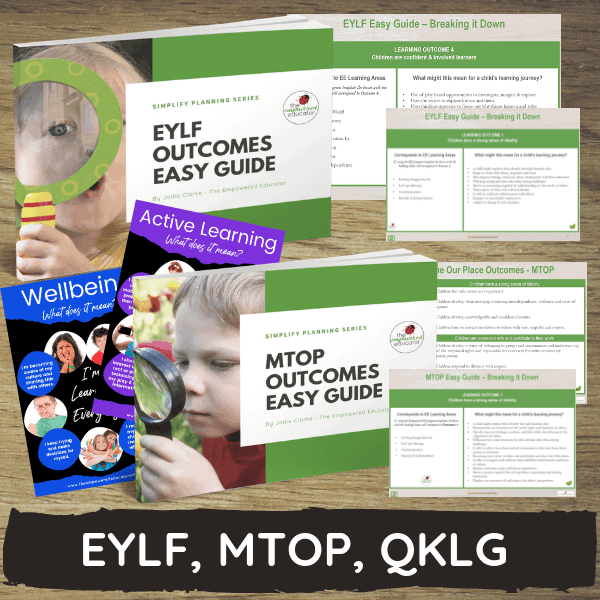 Everything you need to stop stressing about paperwork, documentation and showing evidence of linking to learning outcomes - without the jargon, judgement or hours of writing instead of play! Do you wish this job was a bit easier sometimes? Do you get to the beginning of a new week wondering what activities to set up & how t​​​​o keep them interesting? Do you get frustrated trying to meet unrealistic expectations?Feel like you never seem to get on top of everything? Do you write observations because you have to but don't know how to make them meaningful or use reflection? Do you often feel isolated or unsupported in your role even though you ask for help? Do you keep saying you want to make changes to your learning environment but don't really know where to start? Do you know whether you are even meeting all steps of the planning cycle with all that writing you do? If you connect with even a few of these statements you already know how difficult it is to ask for answers, tools and support without feeling judged or inadequate as an educator! Guess what? It's not your fault & you aren't alone or inadequate! Every educator should have the right to ask for helpful feedback & guidance and be able to explore simpler (yet still best practice) ways to do their job in a non judgemental learning space. You are more than competent, that's not the issue - you might be the most experienced educator you know but you still need respect and access to resources, support and training from someone who understands how frustrating yet rewarding this job can be - someone who just tells it like it is and keeps things simple! Someone who doesn't lecture but empowers! Someone who understands we are always building on our skills. Someone who understands the limited time you have available. Someone who gets we don't all learn in the same way! 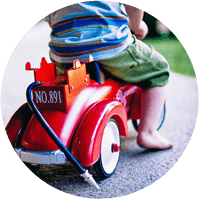 The friendly community packed with the training, resources and professional support you need to become an Empowered, Organised & Confident Early Years Educator! How will the Hub make my planning easier? Program Planners, Activity Guides, Forward Planning, Communication, Reflection & Observation Templates all come together to create a time saving system that not only helps you spend less time on paperwork but also guides you towards a better understanding of the planning cycle and how to use documentation meaningfully and efficiently - banishing wasted time, effort and outside hours admin!! 1. Pick from Baby & Toddler, 3-5 years or School Age. 2. Complete the planning cycle checklist. 3. Choose what day you want to do the activities already on the plan. 4. 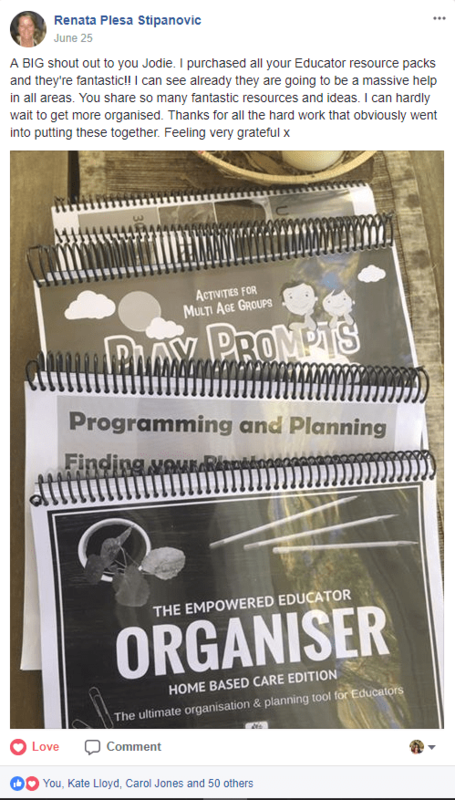 Display the planner as your program! Add your own focus & spontaneous activities. 1. Check icon on each guide that will tell you the corresponding learning area and age. 2. Match activity guide number to the one listed on the planner. 3. Identify what you need for week ahead. 4. Use the additional extension ideas if required. Print or Save. 2. 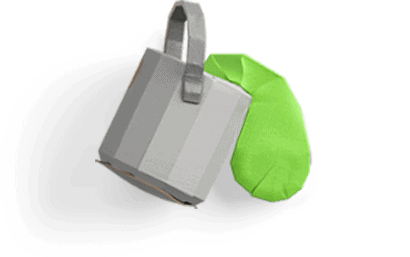 Use the shopping list planner . 3. Prep what you can ahead of time. 4. Use the DIY guides to make own resources and save money! Use the member hub templates, tools and training to help you complete meaningful observations and brief but useful reflections. Keep all your hard work easily accessible by simply saving documents to your computer files, uploading to the cloud or printing & filing in folders. What else will Member Hub do for me? 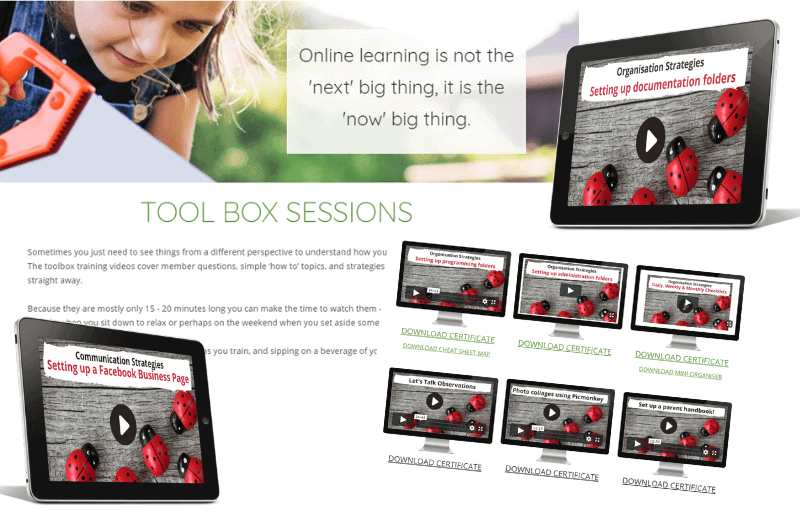 Login & watch short toolbox training videos that will give you simple steps to take action or save time. Watch on your computer or device when it suits you. 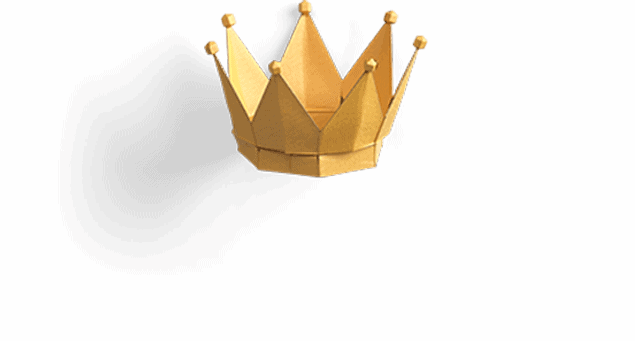 Download training certificates. Join the private Facebook group to ask Jodie & other members questions, meet new friends and share ideas and support without the judgement or condescending comments!. 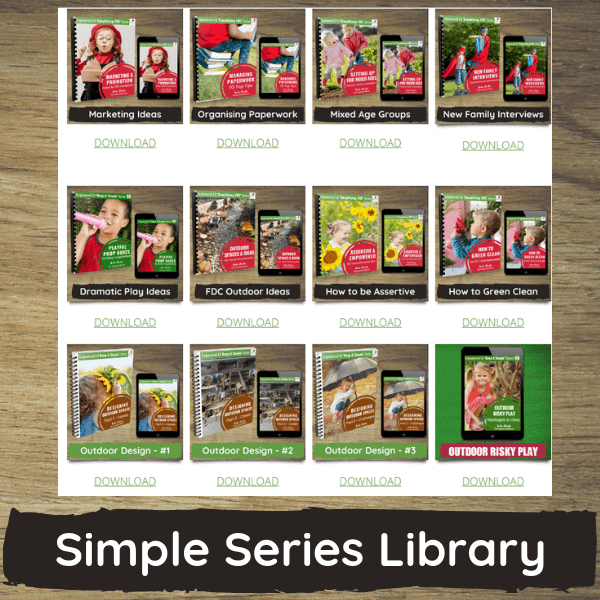 Gain access to the entire collection of popular Empowered Ed Simple Series E-books, toolkit training sessions and printable guides. All the essentials explained simply! 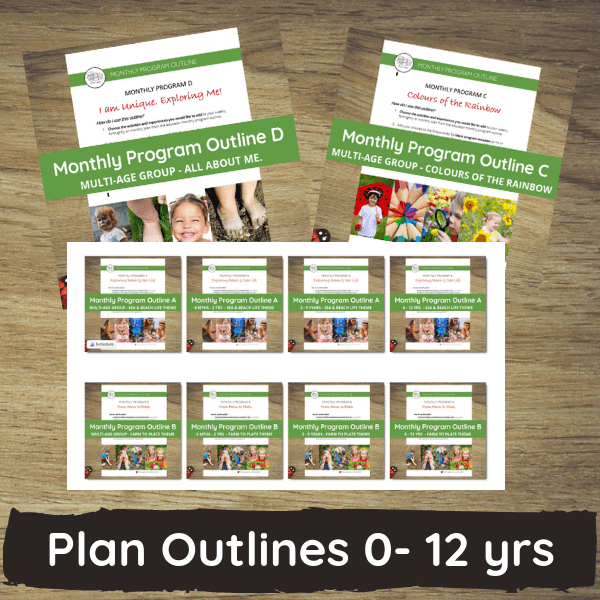 Ditch the overwhelm when you begin using the completed program plans already linked to matching activity guides and learning outcomes. new planners available every month! 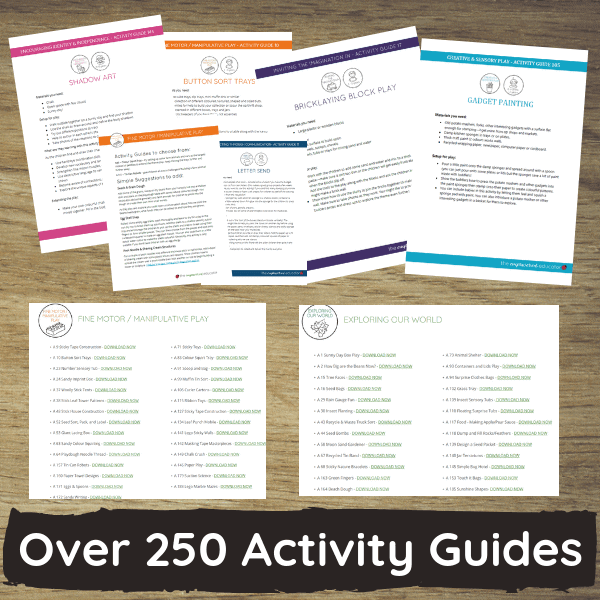 You will never be short of an activity idea, invitation to play or DIY resource again when you can access the library of 100's of activity guides and select those from a specific learning area focus. You can choose a Monthly or Annual Membership! *You can choose to cancel your recurring monthly subscription payments at anytime with just 2 clicks - no emails or explanations necessary. You are always in control of your payments! let me SEE THEM now! * The pay comes in at just slightly more than a jar of Nutella next to that bottle of wine from the shelf on the bottom that had cobwebs growing under it. * You have no patience left when it comes time to actually parent your own kids. * Your Sunday afternoon is spent writing a program of activities that looks good displayed on the wall but in all reality you are only going to get the time to do 1 or 2 of those exquisitely planned gems of early childhood learning because you are going to spend to much time cleaning toilets, emptying rubbish, filling in paperwork and attending meetings out of hours! * You are an experienced educator who enjoys learning new skills but you need easy access to resources, tools and training that doesn't require you to give up nights and weekends with your own family. Wondering how I'm in your head like that? Because I'm just like you and I've thought about leaving this educator gig too. Actually, I did! I'd had enough and just couldn't do it anymore! I went back to uni again, got a degree in social work and human services and loved the career change. But I missed the children....missed setting up play experiences....missed feeling like I was making a difference in the early years of a child's life. But I didn't miss the planning overwhelm, the working on my weekends, the lack of support, the staff cliques, the weekend workshops, the unpaid staff meetings, the uncertainty of knowing if I was doing everything right! So I decided to come back to early childhood but this time I was going to do it my way - I was going to embrace different and throw the 'know it alls' into that nappy bin that no one ever wants to empty! I was going to simplify while still being excellent at my job. I was going to be assertive. And I was going to share this vision with other educators like me. And let me tell you that it's been working out pretty darn well. But I wanted to do more in the online world, I wanted to create a space you could feel like this too...no matter your role or where you live. And now Member Hub is here. What do current members want to tell you? If you need help and support to do your demanding job well this is the place for you! I really like seeing what others are doing and listening to the questions that other educators have and then member feedback. 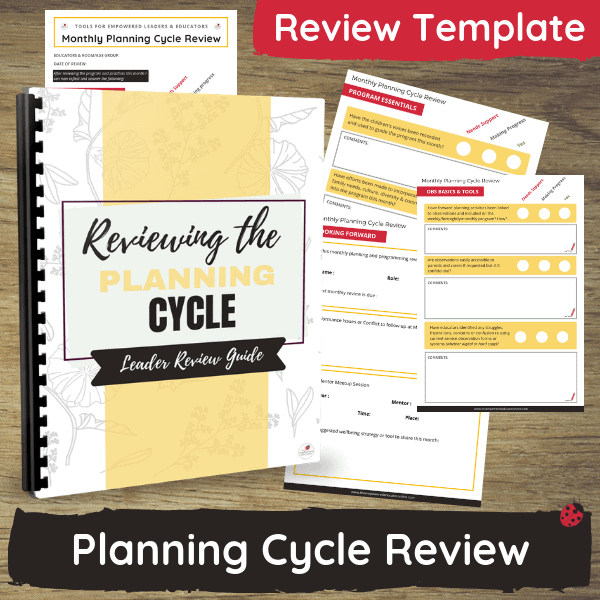 Plenty of resources and helps you to understand the cycle of planning in an easy way. Ideas of activities, environment setups and the best thing is that each activity links to learning areas and extension ideas. 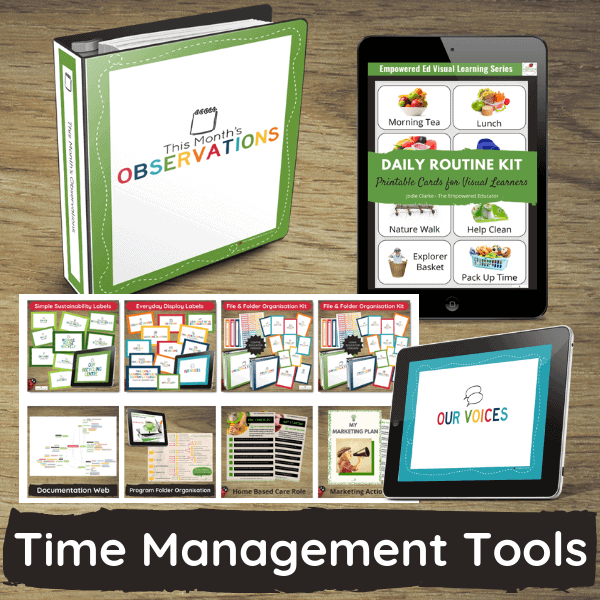 It is a great resource, reaffirms our thinking and a great time saver for educators. All resources get myself and my staff thinking. There are like minded educators. It revitalises us. Too busy to travel for training? No problem! Just watch our member only webinars from home! Exclusive member content and training topics. Watch it live and ask questions or view the recording later when it suits you. Download a professional development hours certificate. Or perhaps you only have time for a 20 minute toolbox video! The choice is always yours and all are included as part of your low $39 monthly subscription!! Is this your space to belong, to be inspired, to get answers to your questions, to become more confident and less stressed as an Educator? 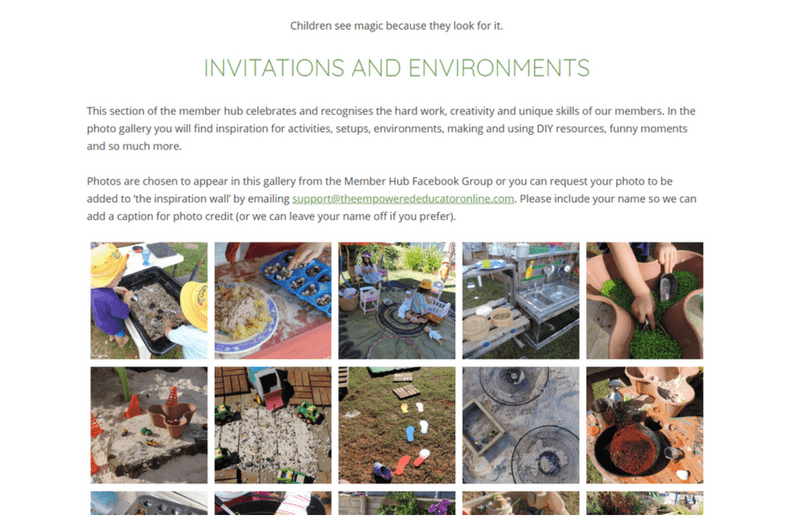 The Empowered Ed Member Hub has been created especially for early years educators who recognise the importance of play based learning and want to access the support, guidance and tools to help them create playful environments & active learning experiences without the overwhelm or over the top documentation. Early learning Centres - Leaders, Assistants, Directors. Every month there are new tools & training for you to use! Have you spent money on expensive consultants, training sessions, apps, books and more over the years as you try to get your enthusiasm back and wrap your head around all the paperwork requirements? Yes? Me too, but it was truly a lightbulb moment when I realised that those things provided ‘some’ of the answers but what I really needed was structure, peer support, simplified planning options, empowerment and to lose the feeling of guilt and judgement that always seemed to be present because I dared to look for easier ways of doing the essentials! You feel like your brain cells take a walk outside your brain every time you sit down to do that weekly program! You want to bang your head against a wall every time you have to write another observation! You think that getting on top of paperwork and coming up with new ideas every week must actually be a skill or gift other educators have but not you! You feel you are second- guessing, half-arsing your way through every day at work because frankly it all seems overwhelming and your sick of talking to yourself about it! 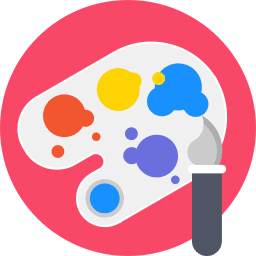 You ARE an educator with years already under your paint stained shorts and are now simply looking for a different way to connect with other educators, access useful resources and flexible training options that will add to your skills and make your job more efficient! 9 Member tools to make work easier for you! When you join Member Hub you will have immediate access to everything below with new content added each month! Where will you go first? Play based activity ideas already on a plan. Experiences categorised into Learning Areas. A planning cycle checklist to help you cover all steps! A template to ensure reflection is quick but useful. Give you quick back to basic tips, how to & strategies. Allow you to attend training in your own home! Give you professional development certificates. Answer specific questions & requests from members. 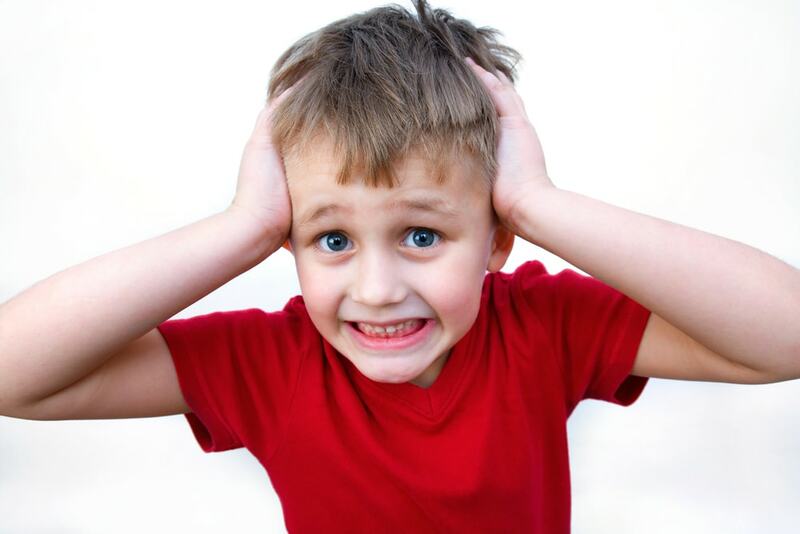 Help you overcome common areas of frustration. Give you DIY budget friendly projects to try. Help you explain concepts more clearly to staff. Show you how to simplify the documentation cycle. 1 -2 hour live training workshops that offer.. Informal workshops on a wide variety of topics! The choice to attend live or watch the recording. The chance to ask and answer questions in real time. Training no one outside of member hub gets to see! 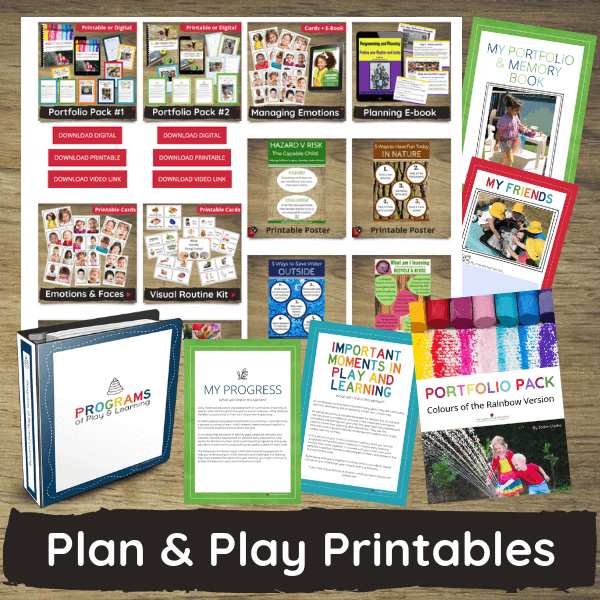 Access to more than $500 worth of EE printables . 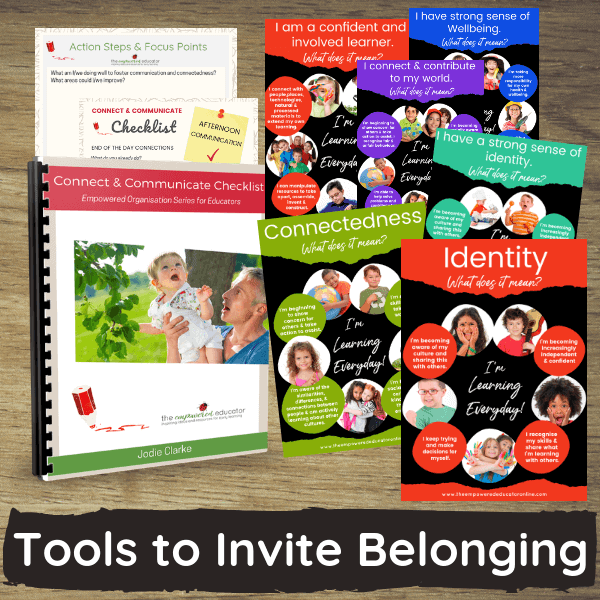 Resources to help engage families & children. 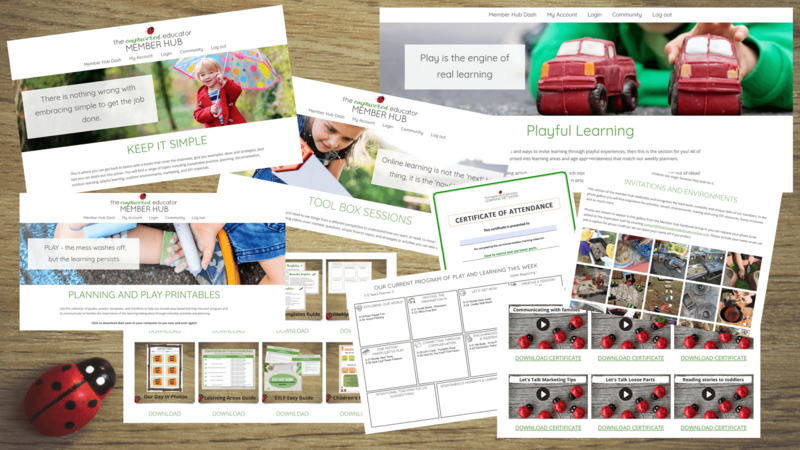 Ideas, strategies, tools to get you started - NOT worksheets for young children! Stop getting behind on admin & documentation. Market effectively so you have less vacancies! Feel more confident in your abilities & role. Become an assertive and effective leader /educator. A Facebook discussion group for Hub Member's only. So you can stop feeling isolated or not heard. So you can swap ideas & support with other educators from around the world. So you can ask questions in a safe environment. So you know that others have had many of the same questions and frustrations that you do right now. An ever evolving member photo gallery of setups, invitations to play, activities, environments, DIY resources and more to inspire, share and swap. Share your own inspiration - show off your work! 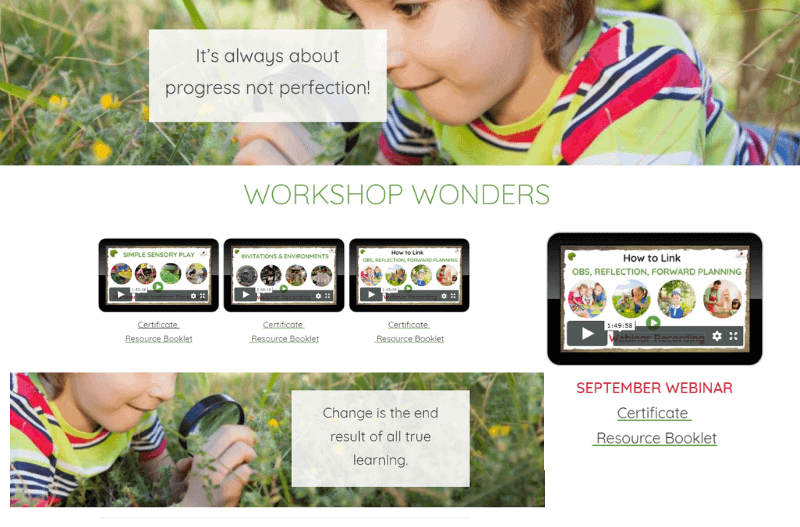 Gain new ideas from real educators sharing real environments, setups and resources! I need my questions answered first! Click on the questions below to reveal the answers you need. Are the activities just for preschool age children? Not at all! 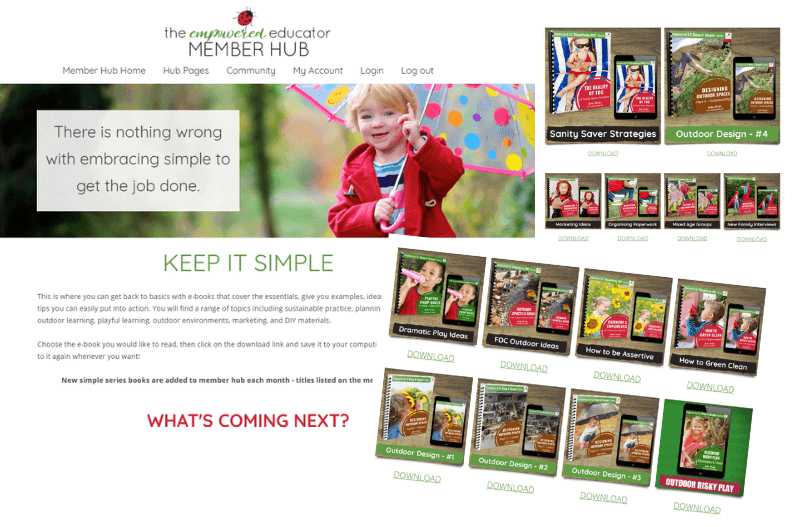 The Member Hub includes activities, training and plans for educators working with all ages from 0 - 8 years. There are separate plans for baby & toddler groups, 3-5 years and outside school hours care environments. There is also a plan for mixed age groups 0-8 years - especially useful for those working in family daycare and home schooling environments. I'm not good with computers - will I be able to use it? YES! I know many educators still prefer to print, write and file rather than use a computer or device so I've spent a lot of time making sure the member hub is easy to use and the resources are a simple click to download to your own computer. Then you can just print if you prefer to work in hard copies. If you love to work on the computer or device and save on ink and paper then you are also covered! 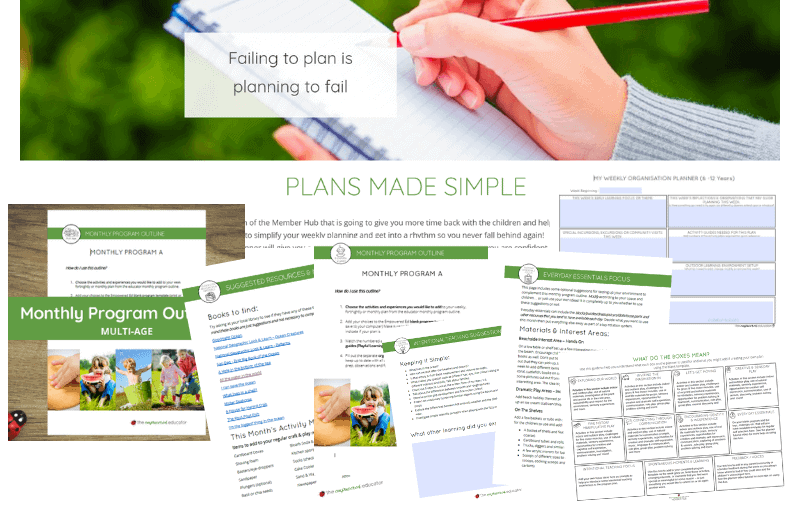 You can save the plans and activity guides then just type into the documents and save, email or upload to the cloud. All you need is an internet connection to login to your member homepage. 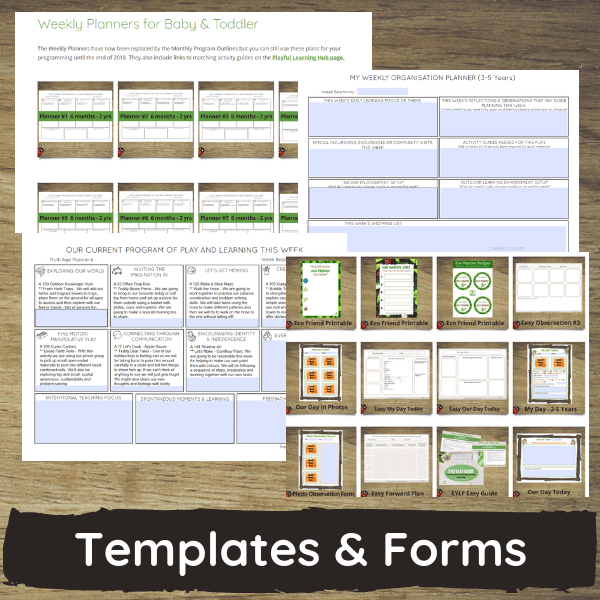 Are the printables and templates just worksheets? Definitely not! 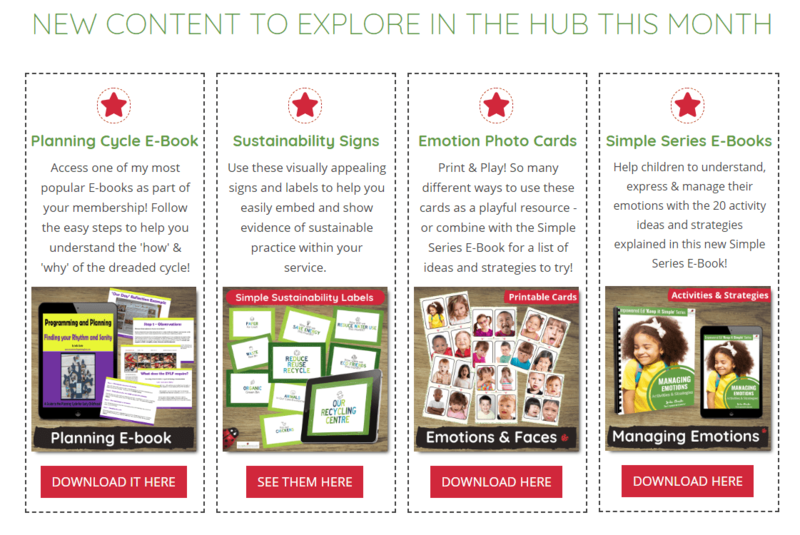 The Member Hub has a play based learning focus and although there are more structured factsheets and tools for educators to use for your own professional development the printables, activity guides and plans have been created to ensure children become active and engaged participants in their own learning. 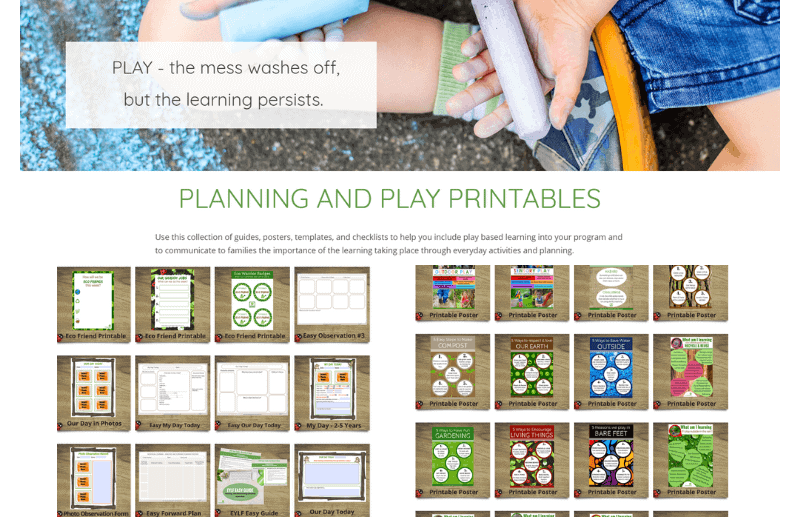 Think of the printables as simply tools to invite learning and play - not 'how they must play' or boxes to check off! 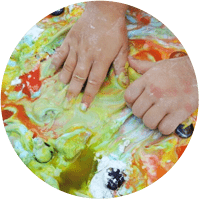 My aim is to help you find ways to encourage learning through play - whether that is in an outdoor or indoor environment, a centre or home based environment. Is this just going to be more work for me? No! That would go against everything I want the Member Hub to be for educators! The idea is you take what you need each week - that might be a plan or an activity idea, perhaps a 15 minute training video on something you are struggling with or maybe it's a checklist to print with aim of helping you organise your observations. There is absolutely no need to login everyday and do everything all of the time. You can combine the resources in the hub with what you are already using - whether that is in paper form or online with an app to make everything less time consuming for you. Why would I want to keep paying each month? 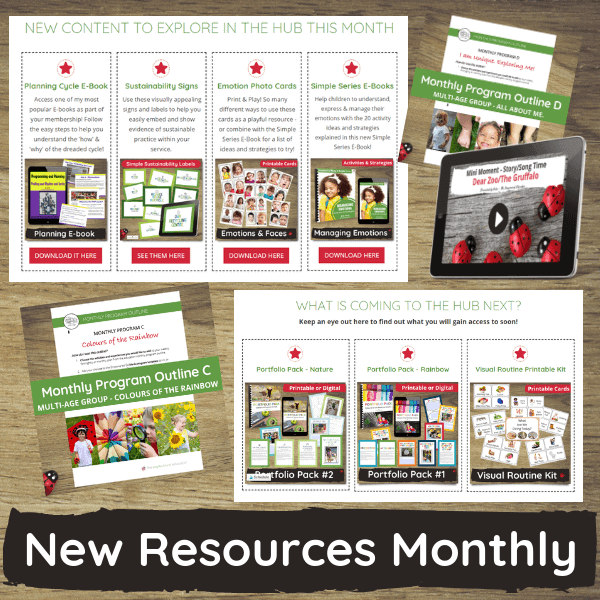 Because there will be new training videos, webinars, weekly plans, activity guides, ebooks and printables added to the hub every single month! What other educators have to pay separately for which can quickly add up - you will have access to anytime for just one low payment each month! You will also have access to training not available outside of the hub. ​Couldn't I just get all this information online for free? You could definitely try and that is certainly an option if you feel you are getting all that you need from surfing educational websites, reading books and interacting in huge Facebook groups to download bits and pieces of free stuff you then have to figure out how to use. I certainly don't want you to purchase something you don't need -that is just wasting my time and yours so I want to make sure you make an informed decision! ​But going on the emails and private messages I receive everyday the majority of early years educators have very little time to spare and are already feeling overstretched with a work/life balance that is just not sustainable anymore. 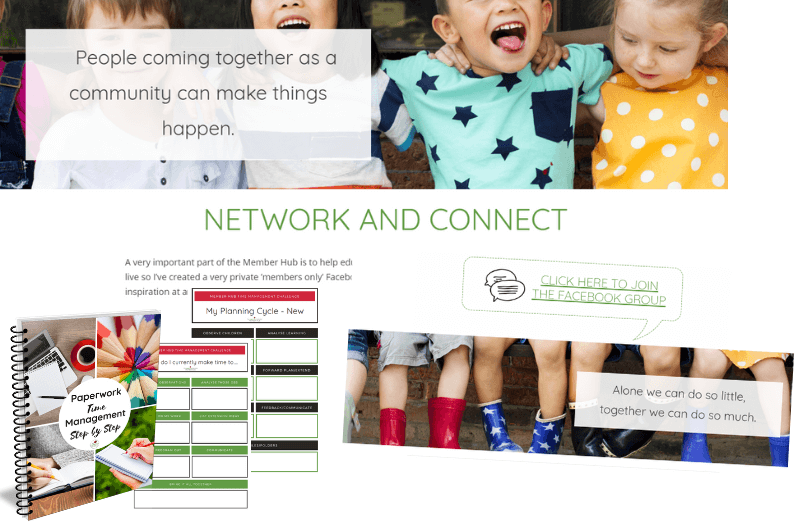 By joining the Member Hub you can forget about endless hours searching for that template, activity idea or answer to your question - it's all there in the one place now and you can simply login when it suits you, download what you need, ask a question, talk to other educators or watch a training and download your personalised certificate. 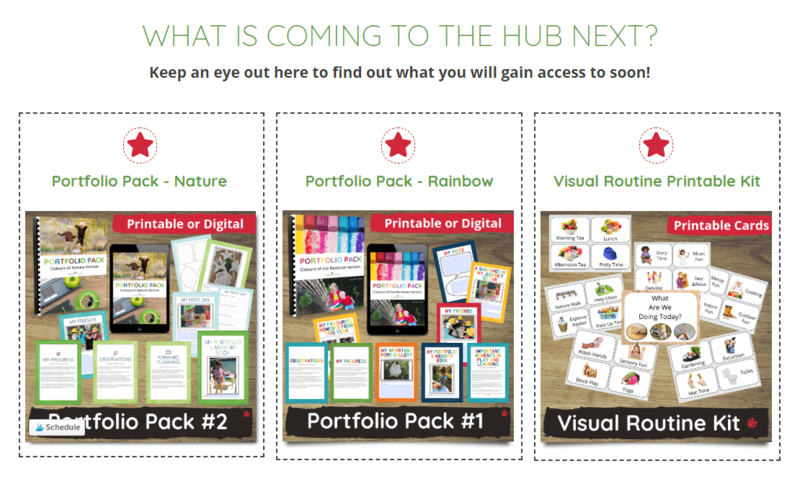 I'm confident the hub is worth your time and money because I know I have already helped thousands of educators just like you over the past 5 years with my resources and back to basics style! I'm not an Australian Educator - will this still be useful? Definitely! 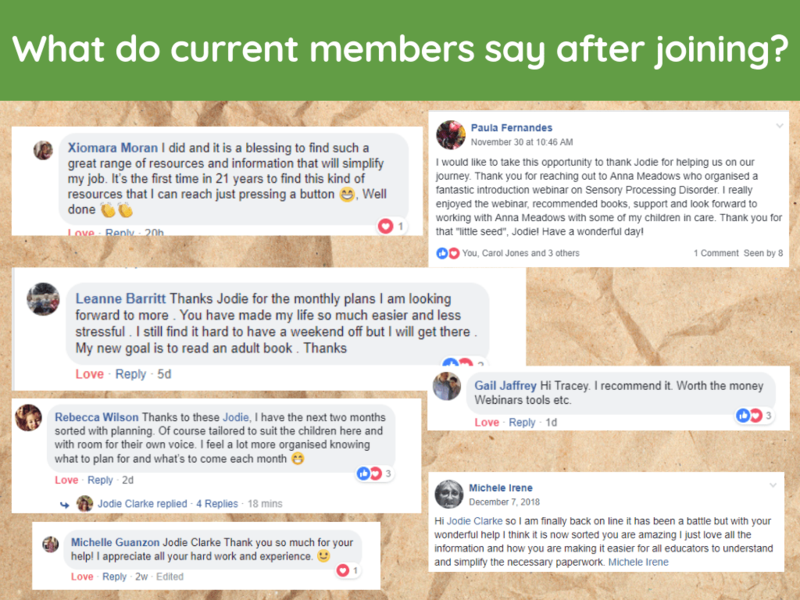 I regularly have educators and parents from around the world buy my resources, attend my webinars, watch my online course videos and join my Facebook community so no matter where you work you will find value and help for your role in the Member Hub. There are definitely references, links and resources for Australian educators to make working with the Early Years Learning Framework easier but I have made sure to link all activities, plans and videos to general learning areas and current approaches common to all early childhood professionals. ​​​​​How can I be sure you know what you are talking about? 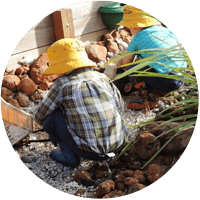 I’ve been sharing play based activities, programming strategies, tips for family day care educators, ideas for outdoor play & environments and more on my website since 2010. I've also been developing and selling resources that save educators time and help them understand the basics for the past 4 years so I'm confident my work connects with educators just like you. The Member Hub includes the same type of content and the down to earth approach I have been sharing for many years online. My ideas, tips and tools have been used by educators around the world - for many different early childhood roles. I value the level of trust and reputation for helpful resources and advice I have built with fellow educators through my website and social media pages so I am definitely not about making over the top promises to you that I can't keep just to make money! 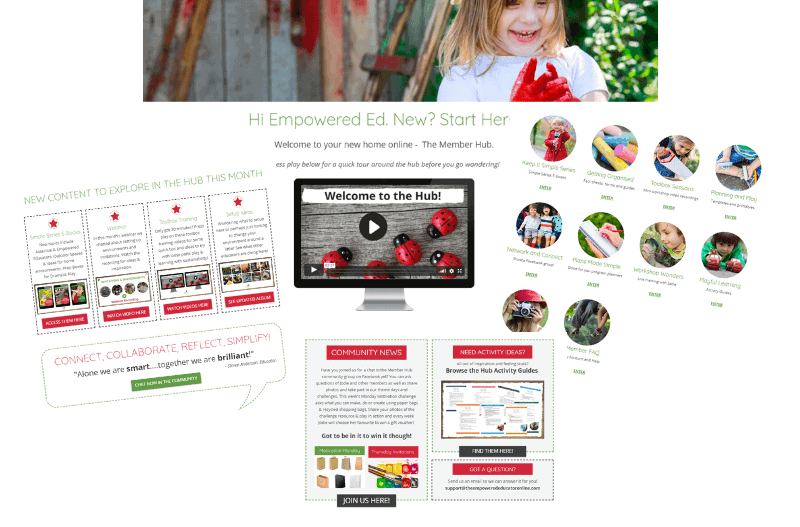 If you need to know more about me though before you decide if Member Hub is for you visit my website,my Facebook page with over 30,000 followers, my Empowered Ed community group with over 12,000 members, my Pinterest page with over 50,000 followers. I'm pretty sure that many people can't be wrong about my support, ideas and reputation! The great part about becoming a member is that you’ll be learning not only from me, but from other empowered ed's who’ve simplified their programming, become more organised, developed systems that allow them to now spend more time with the children in their care and ultimately know firsthand that there IS a way to get their mojo back and love their work again. I can't wait for you to get there with us! Need to see inside first before you decide? Click play on the short video below so you can feel confident about what you will access as soon as you subscribe - GUARANTEED! SHOW ME MY HUB HOMEPAGE! Personalised professional development certificates available for all training videos & webinars! I'm Jodie and I have had 30 years hands on experience in the early childhood profession and already supported and mentored thousands of educators with their work through my popular website The Empowered Educator and practical blog posts, activity ideas, factsheets, free e-guides, online training, Facebook Community, webinars and e-books. I have worked in many different roles across the family services and early childhood professions including Case Manager, Project Officer, FDC Coordinator and educator, Occasional Care, Outside School Hours Care, Family Support Manager, IHC Coordinator, Room Leader, Director, Assistant in centre based care and training facilitator to name just a few so it's likely I have already walked in similar shoes to your own! I know what is helpful to educators because I am one too! How do I know if Empowered Ed Resources are helpful? Thousands of educators from around the world have already purchased Empowered Educator e-courses, training webinars, Ebooks, resource toolkits, templates and printables and they continue to come back for more! Want to become a member at no cost to you? If your early learning service, coordinator, director, school or administrator has professional development funding set aside for your role you can simply email us at [email protected] so we can arrange a purchase order for you to give to management to set up an annual payment. We will then send through login details to your preferred email. What makes the EE Hub different? This isn't yet another online forum for educators to feel judged or inadequate when they ask for feedback on their work or seek help with planning and documentation! This is a virtual Empowered Ed Community that gives students and educators not only the tools and training to increase their skills, better understand the basics and save time meeting planning requirements.... It also offers a safe space to feel less isolated, to connect with other educators from around the world and to share ideas. If you are already a member of The Empowered Ed free community group on Facebook you will understand the importance Jodie places on inspiring others - not bringing them down, on empowering educators to learn more in ways that work best for them, on sharing a diverse range of different ideas, environments and perspectives because she recognises that all Ed's have different skill levels, environments and resources to work with. The difference comes down to an acknowledgement that this role is challenging, not often recognised for its importance and yes, sometimes overwhelming, but becoming a member of the Empowered Ed Hub will change all that as we come together as a community of professionals! What else is different? What makes the Member Hub essential for early childhood educators like me? You need different resources at different times and you are busy so you need them quickly! We get that and it's why all you need to do is login online and all training videos, weekly plans, activity guides and more are right there at your fingertips! Planning and documentation is often a source of overwhelm but they don't need to be confusing or complicated! 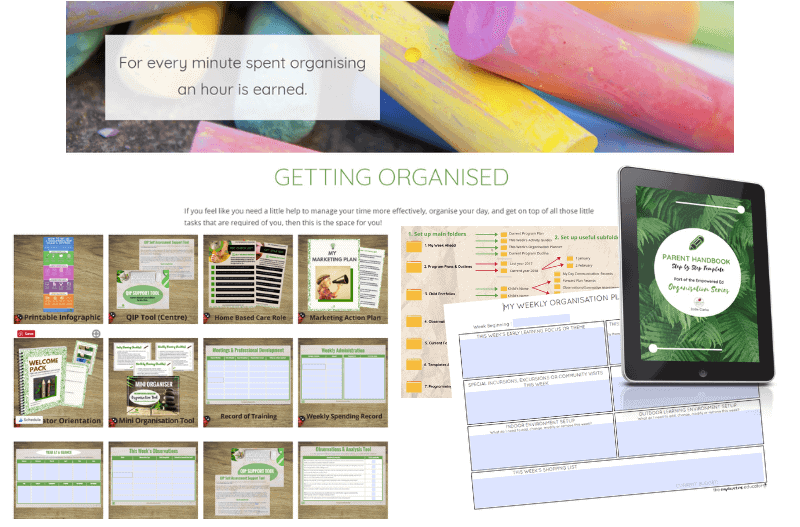 You will save so much time when you can access monthly planners already completed with activities & linked to learning outcomes. I share what I know is helpful because I have walked in many similar shoes to yours over the past 30 years. I know what it's like to be a student, an assistant, a room leader, a coordinator, FDC educator, a director....so the training and tools in the hub come from REAL experience. I know what works. Forget about paying for single webinars! Members will not only have access to a collection of short training videos - you also receive a seat at the regular live webinar or just watch the recording later as part of your monthly member fee. 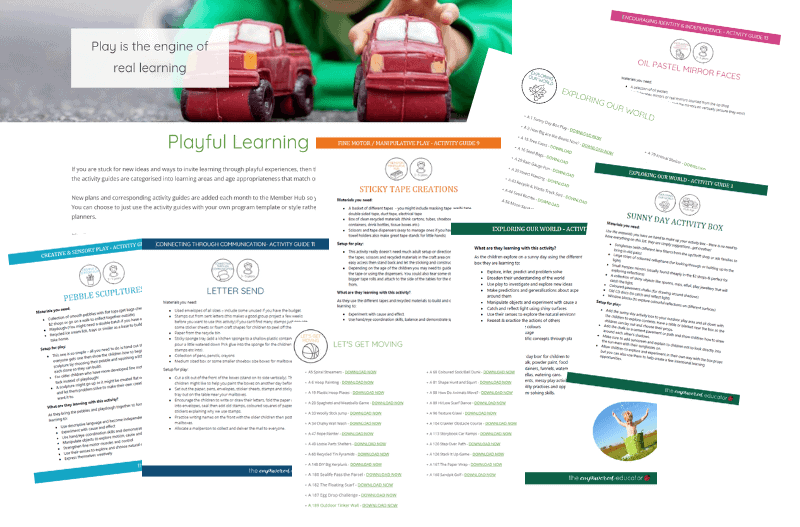 All materials, ebooks, training, planners and activity guides have been developed with a play based learning focus at the core. The outside environment is also recognised as an important learning space & included throughout content. 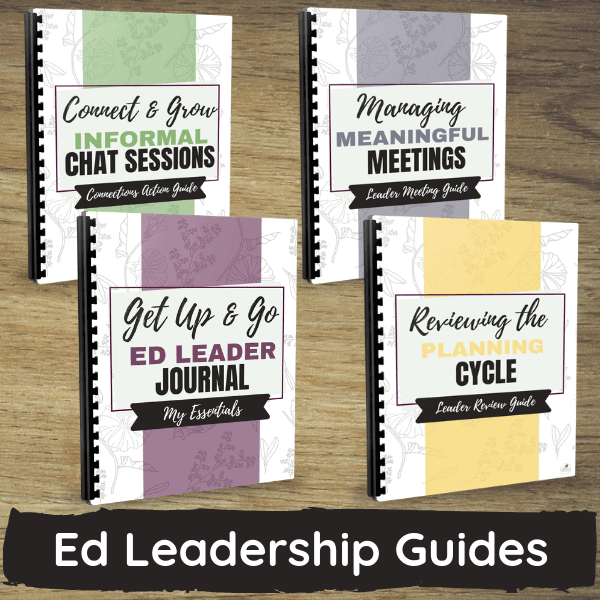 I have no doubt that you are going to find the Empowered Ed Member Hub worth every cent of your monthly subscription when you see how much time and stress it saves you but if for any reason you decide to leave you can cancel your membership at any time. No hidden fees! Imagine that you don't have that stressed feeling for once on a Sunday afternoon because you are feeling confident with your weekly plan done, your activities linked to learning outcomes, your paperwork organised and your environment and craft prep ready for the week ahead already. Heck you might have even squeezed in a 15 minute toolbox video session or watched the live webinar replay to check off some of those professional development hours! There is currently no other member club available in our profession online that can make this happen for you! Want access to it all? You will get it (and more) 24/7 with a low $39 monthly subscription! 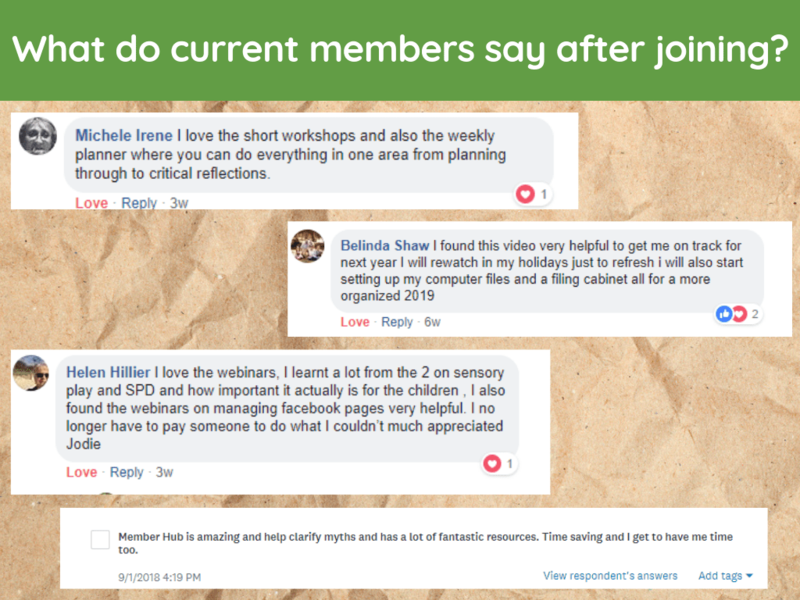 I'm looking forward to working with you inside the Member Hub doors so that I can help you gain back more time, spend less time second guessing yourself and remind you why you wanted to work with children in the first place. It was NOT for the paperwork! See you on the inside Empowered Ed!